There is just something about the color red that draws you in. You know, those bright and cheery shades that make you think of summer or the holidays. I can't get enough of it this time of year and I certainly can't resist a pretty pair of red heels, especially if they have bows on them. I'm currently in that honeymoon phase (before I'm left with the inevitable emotionally scaring blisters) where I'm planning outfits around them. Over the weekend I paired them with a relaxed white sweater and skinny jeans. 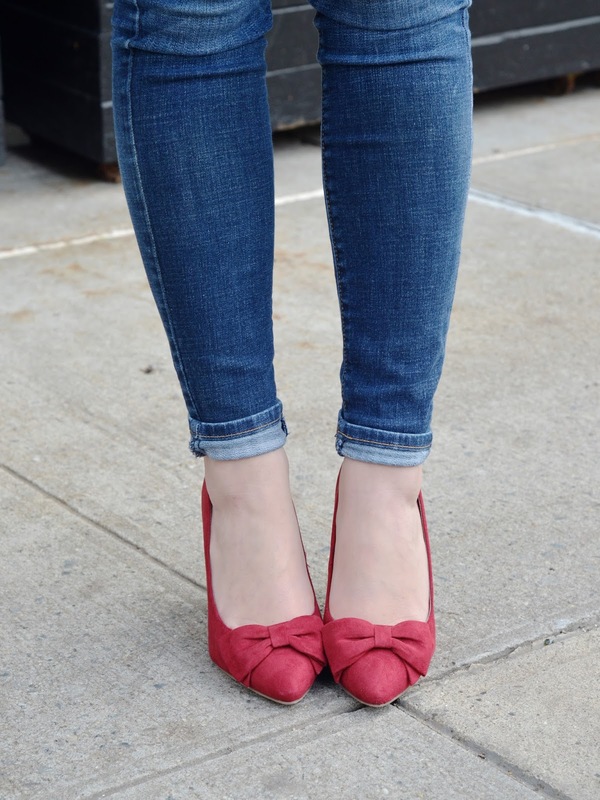 I love dressing jeans up with a cute pair of heels for a fun yet still appropriate daytime look and these were perfect for adding a festive, holiday feel. I LOVE that coat! And those heels are adorable! I love the fun bow! What a great look! You are too cute!!! 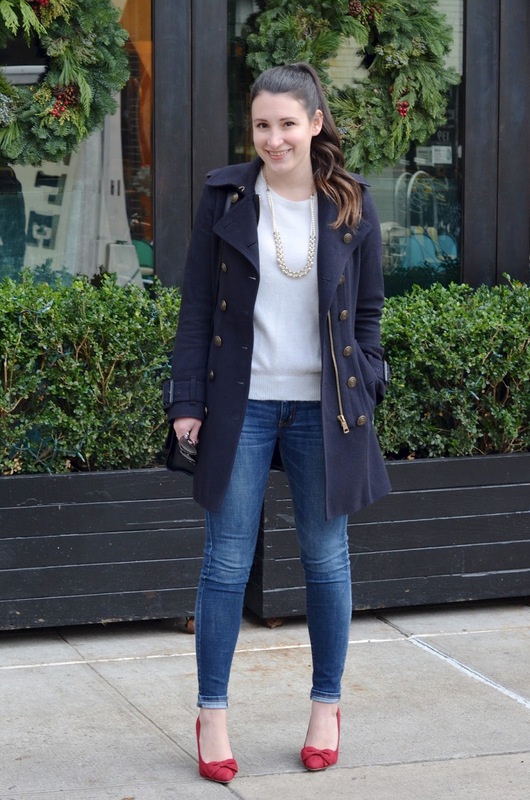 I Love a nice pop of color with my shoes and then a neutral relaxed outfit- it's perfect for my little chaos here. 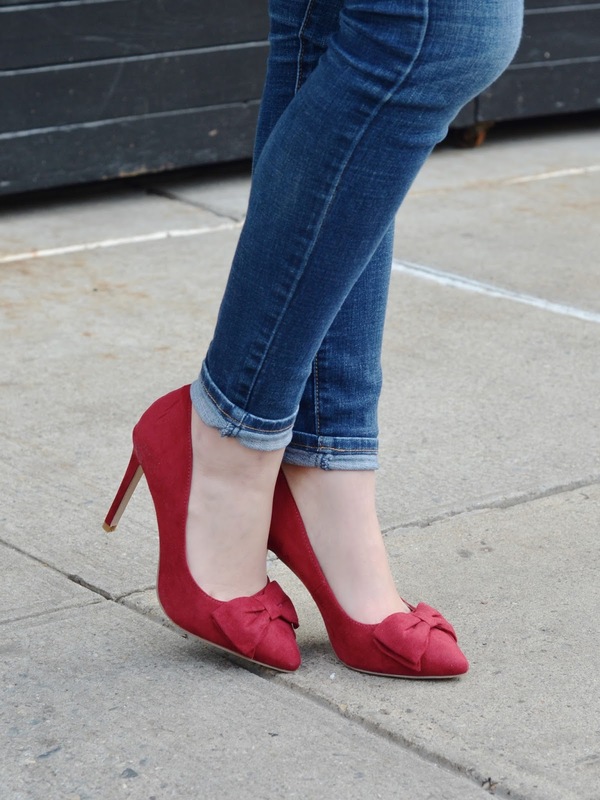 I LOVE these red bow heels!! So festive and fun for the holidays! Loving how you styled them with a classic sweater and skinny jeans. Simple and chic! Those heels are so adorable, I love the little bows! those shoes are so perfect for this time of year, i love them! 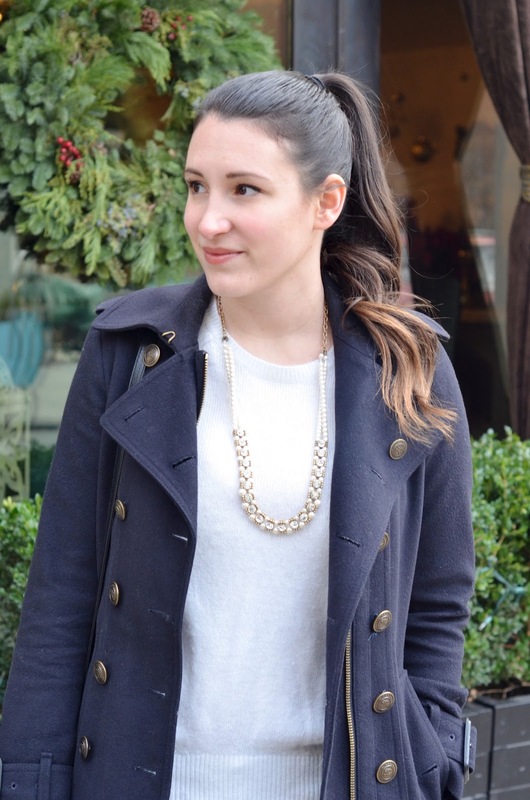 dressed up casual is probably my favorite type of look so i am all over this! You look so pretty with your hair pulled back. And....cute shoes. I love cheery shades! Red is SUCH a holiday color and these shoes are so ideal for any form of Christmas event you might have lined up. Wishing you could pop in for a cookie-decorating-White-Christmas-viewing party!! So pretty Lyndsay! Love these heels - no way they are F21!!! The red shoes are so fun and festive! Love them!